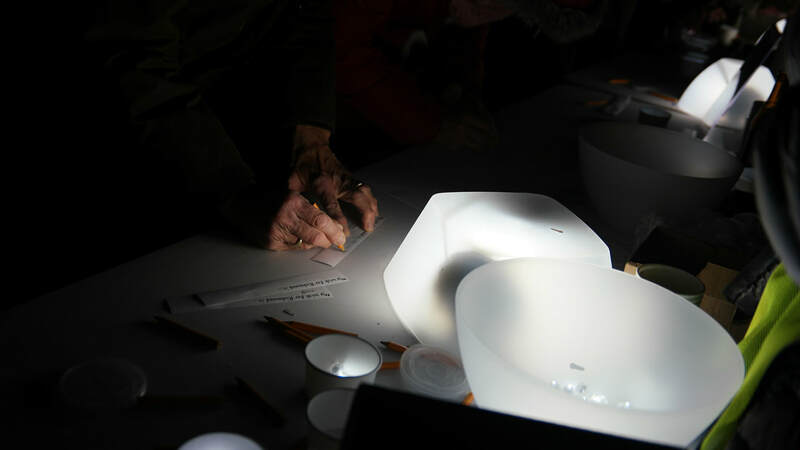 River City Reflections was an interactive artwork featured in 1708 Gallery's annual InLight Richmond show, displayed in the sculpture garden at the Virginia Museum of Fine Arts. It was a collaborative work with artist Carl Patow (carlpatow.com). 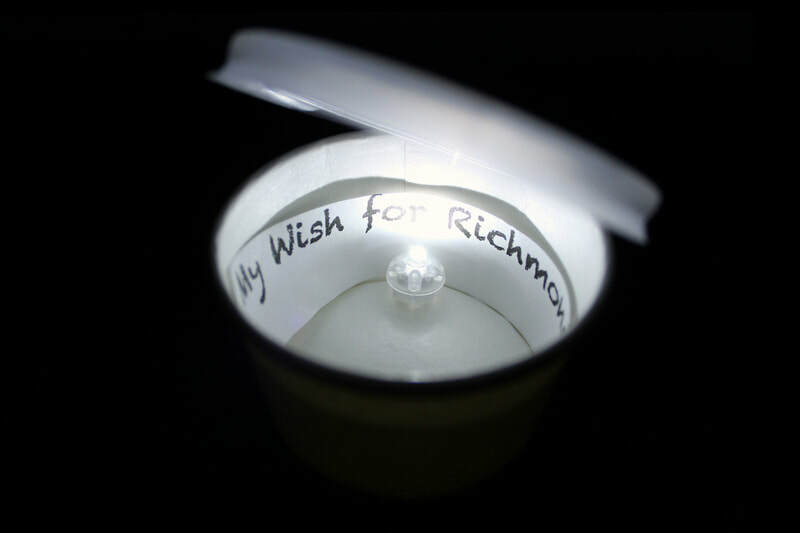 Carl & I asked participants to write down a wish for the future of Richmond, Virginia. 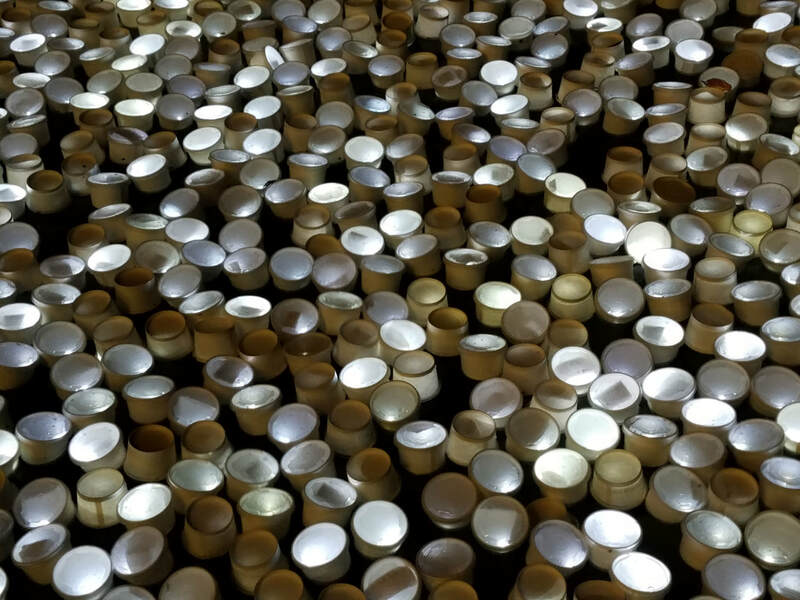 Each wish was placed in a translucent cup, illuminated with a tiny LED light and sealed with a tight fitting lid. 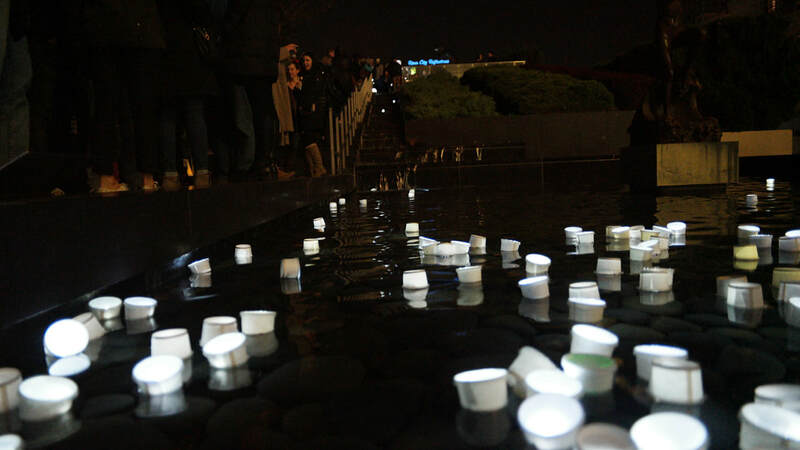 Participants floated their wish-containing cups down a waterfall feature in the sculpture garden, where the wishes settled in a pool at the waterfall's base. 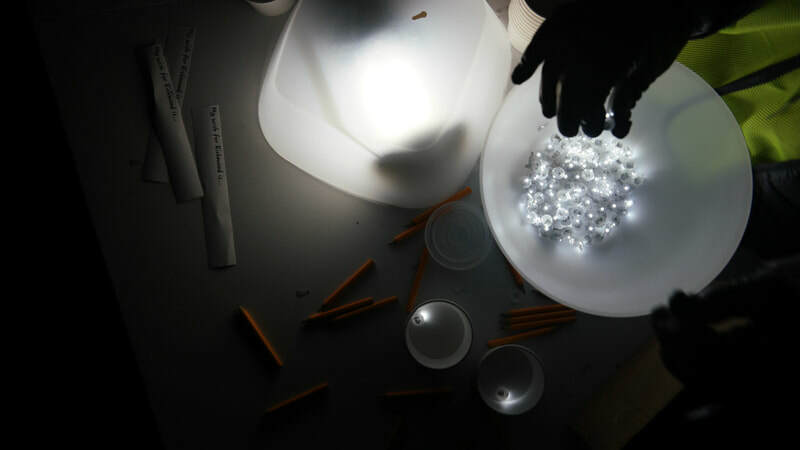 Over the course of the two-night show a total of 3,500 wishes collected in the pool, creating a radiant mass of community hopes for the future of the city. Select wishes will be uploaded to MyWishForRichmondIs.com for public view in the near future. 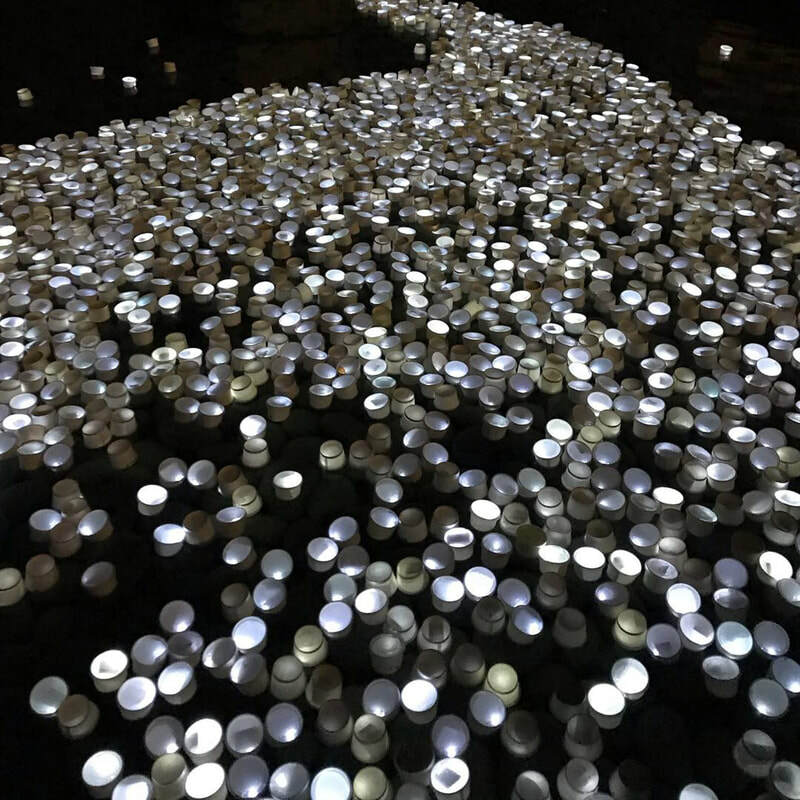 River City Reflections was awarded "Best In Show" by InLight 2018 curator Kimberli Gant, the McKinnon Curator of Modern & Contemporary Art at the Chrysler Museum in Norfolk, VA.
"Wishes" floating in the pool. 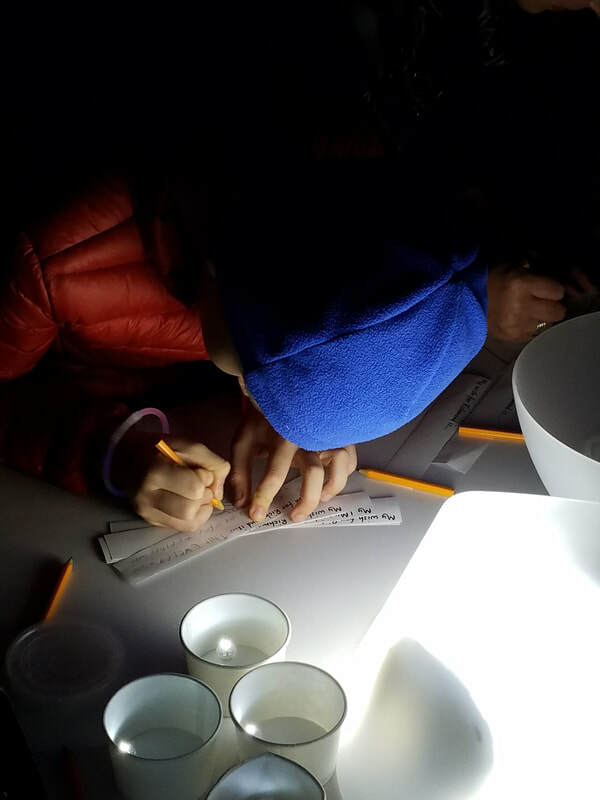 Participants wrote and assembled their wishes at tables at the top of the waterfall. View from the bottom pool. Wishes can be seen floating down the waterfall steps. ​ This timelapse was recorded over a 6 hour span on November 16, 2018, the first night of the two-night show.